Most commercial and residential buildings have inadequate levels of insulation. Although this kept construction costs low, it now translates to huge recurring energy bills. During winter, heating costs for buildings with little or no insulation make up a large percentage of energy costs. To save on energy costs, and enjoy the other benefits that come with insulation (e.g. fewer pests, less noise and a healthier home) you should go for spray foam insulation. You can apply spray foam insulation on the attic, ceilings, and existing walls to improve on the buildings overall insulation. Buildings insulated with spray foam are some of the most comfortable and efficient buildings built. Adding spray foam insulation to a building goes a long way towards increasing the comfort of your working/living room. Insulation makes the building habitable during seasons of extreme weather. In addition to keeping the building warm, spray foam wall insulation, spray foam insulation soundproofing and spray foam insulation in attic keeps unwanted noise and other pollutants out of the building. With insulation, the building – be it residential or commercial – becomes more energy efficient. Insulation keeps the building warmer during winter and cooler during summer thus cutting down on the cost of cooling and heating. With a spray foam insulted building, you use less energy on heating and cooling. This translates to reduced carbon and other chemicals footprints, which is good for the environment. At Smith Sustainable Design, we aim at improving indoor air quality, benefiting your health, reducing your energy bills, and lessening environmental impacts. We bring the expertise and experience in spray foam insulation you need to transform your building. Unfortunately, not all spray foam buildings will be comfortable and efficient. Some homeowners are tempted to spray foam insulation on their own without involving an expert – this is quite risky. To avoid these risks, talk to an insulation expert; Smith Sustainable Design are spray foam insulation experts. Although this problem is more common in close cell spray foam insulation, it may also happen in open cell spray foam insulation. Generally, closed cell foam has a higher R-value than open cell foam. (Typical close cell spray foam insulation r value is 6/inch while open cell spray foam insulation r value is 3.7/inch). For this reason, open cell foam usually fills the framing cavity completely while closed cell foam does not. With Smith Sustainable Design, you won’t have to worry about spray not being thick enough. We are experts in spray foam wall insulation. One main reason most people go for spray foam insulation is its air sealing ability. Unfortunately, the spray can’t seal places where it is not sprayed. If you are not careful when applying spray foam, you stand a risk of missing some of the air leakage sites. When this happens, humid air will find its way into the room during summer. At Smith Sustainable Design, we make sure that we have sealed the envelope completely. For new and old buildings, we test for any leaks using specialized equipment. When you don’t understand a building’s envelope, you either spray too much or too little – which is obviously not good for insulation. This usually happens in complex houses. At Smith Sustainable Design, we understand that proper insulation means having every part of the building envelope insulated. We study the building to understand its envelope fully. When bad chemicals are used or right chemicals are improperly mixed, the spray foam does not hold to the framing. After sometime, the foam starts to pull away from the framing. This leaves bits of uninsulated areas around the house. At Smith Sustainable design, we have been doing spray foam insulation for years now. We guarantee nothing but the best results. We specialize in spray foam insulation (spray foam wall insulation, spray foam insulation in basement, spray foam insulation in attic, spray foam insulation soundproofing etc). Contact us today for professional spray form insulation services. 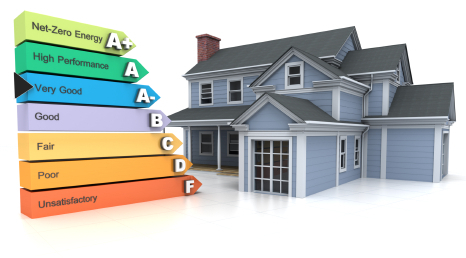 Let us work on your house’s overall insulation – so that you can save money. Contact Us Today To Save On Your Utility Bills Tomorrow!